AppSeed: From Sketches to Functioning Prototypes | OhGizmo! Did you ever have such a good idea for an app, but didn’t do anything about it because you didn’t know a thing about programming or writing code? Don’t give up on your dreams or ideas just yet, because AppSeed might just be able to help you out. 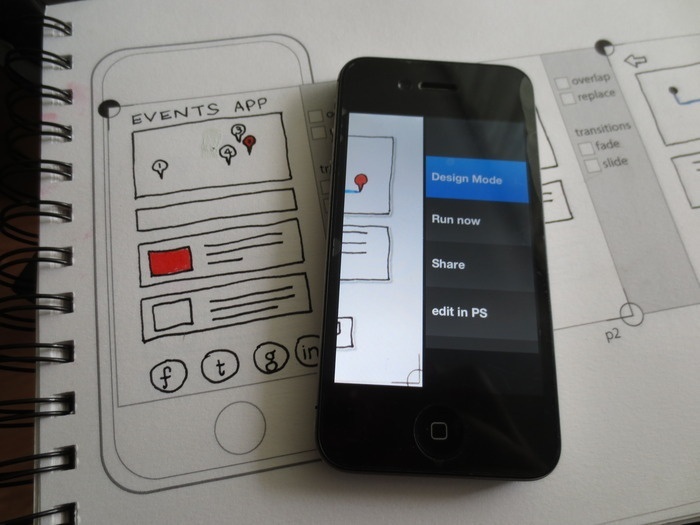 AppSeed is essentially an app that will help you create a prototype of your app, based on your sketches of it alone. It’s definitely the first of its kind and perhaps the only app that can do what it promises to do. AppSeed uses OpenCV to capture your sketched designs, manipulate the elements, and run the prototype on your mobile gadget. Just sketch your app interface on a piece of paper, take a picture of it using your phone camera, and get to work with AppSeed. AppSeed can identify an enclosed space in your sketch, allowing you to make it into a button, input text, map, or another UI element. Making your sketch into a functioning prototype running on your phone. AppSeed is currently up for funding on Kickstarter, where a minimum pledge of $8 CAD (about $7.75) will get you access to the app.